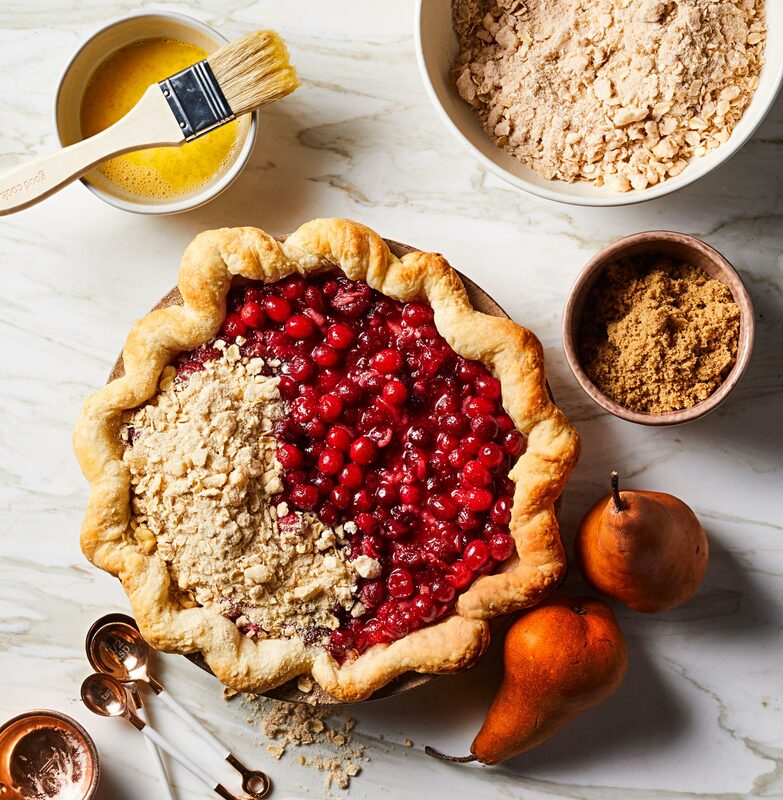 At a little Michigan bakery, we found crumb-topped cranberries, sunny-side up tarts, toasty meringue—and the secret to making buttery, flaky, utterly unforgettable pie dough from scratch. No one frets over slicing apples for a pie. 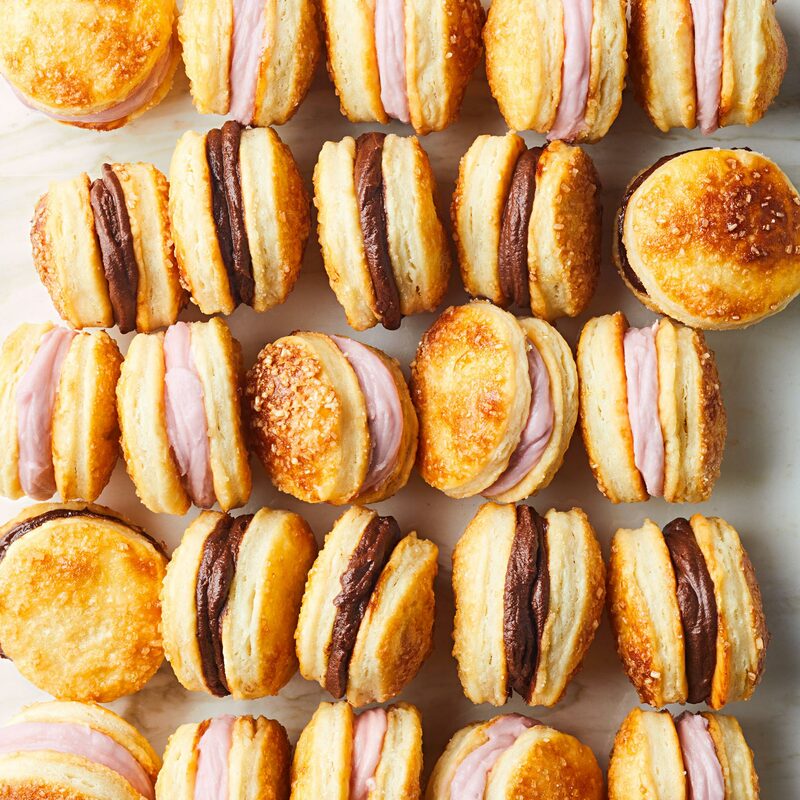 It’s the pastry that intimidates. 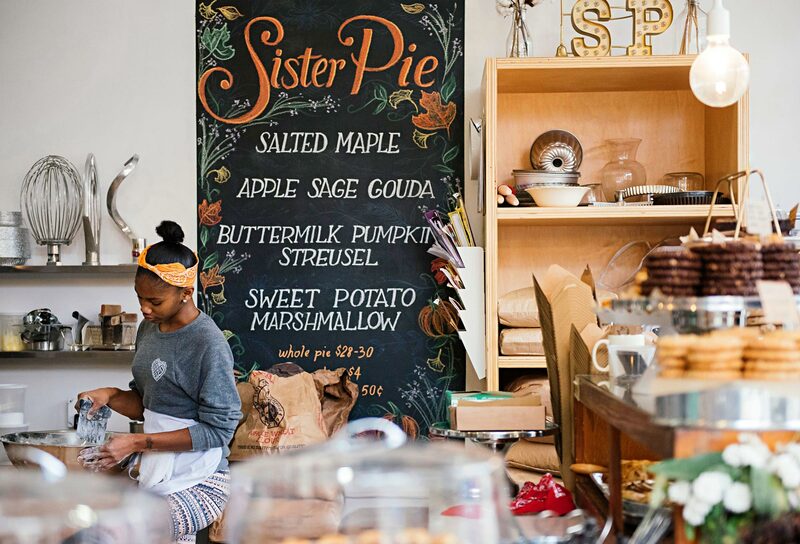 Lisa Ludwinski sees the fear when she hosts classes at her Detroit bakery, Sister Pie. 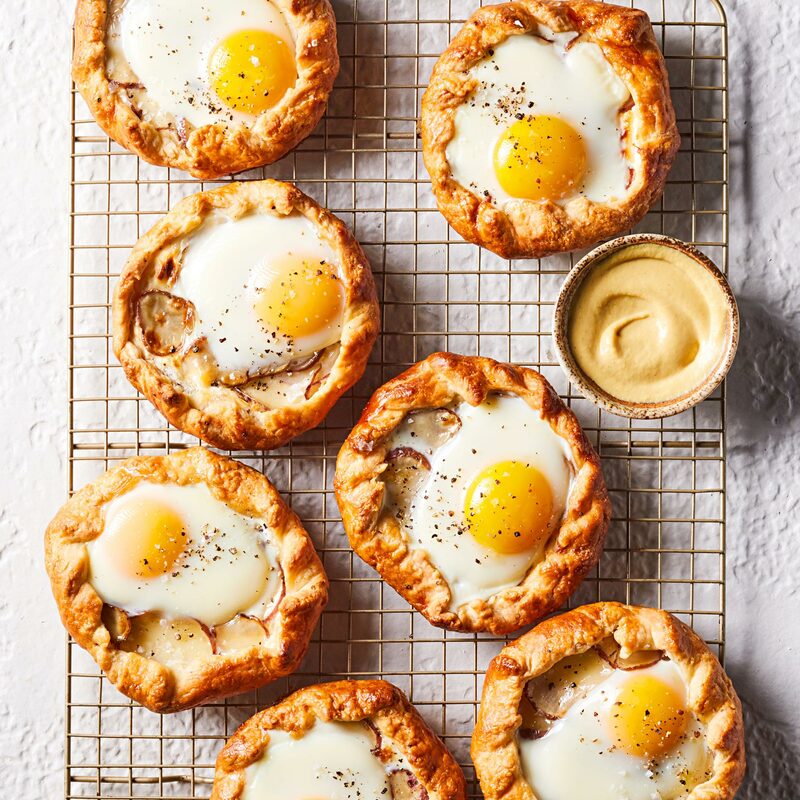 “The terror really awakens when it’s roll-out time,” she writes in her new cookbook, Sister Pie (Lorena Jones Books, $25). But Lisa has a tip that’s as liberating as it is simple: Embrace failure. Your first attempt will almost certainly be patchy, lumpy, cracked—a truly humble pie. But it will taste better than anything you buy rolled in a box. Forge ahead. 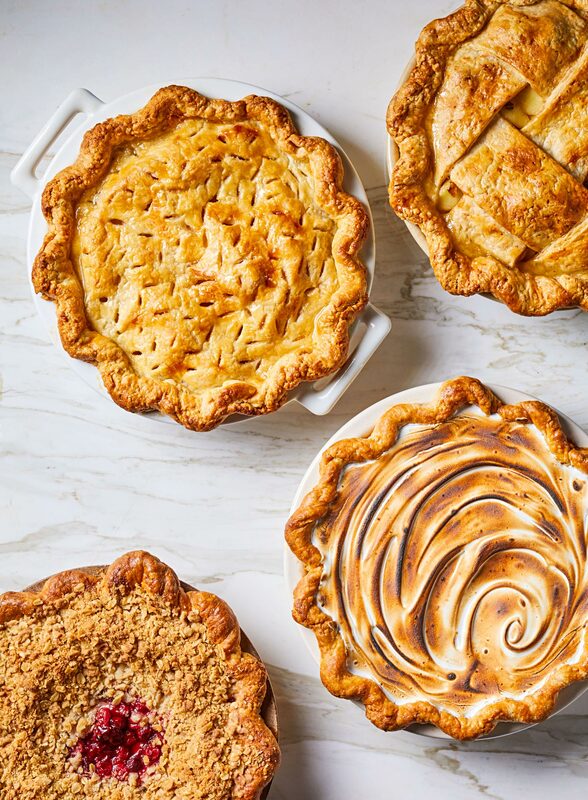 With all that delicious practice, you’ll hone a skill that will unlock a whole world of goodies, not just pies, but quiche, cookies and even crackers. So be brave! Thanksgiving is around the corner, and Lisa’s tantalizing recipes await. 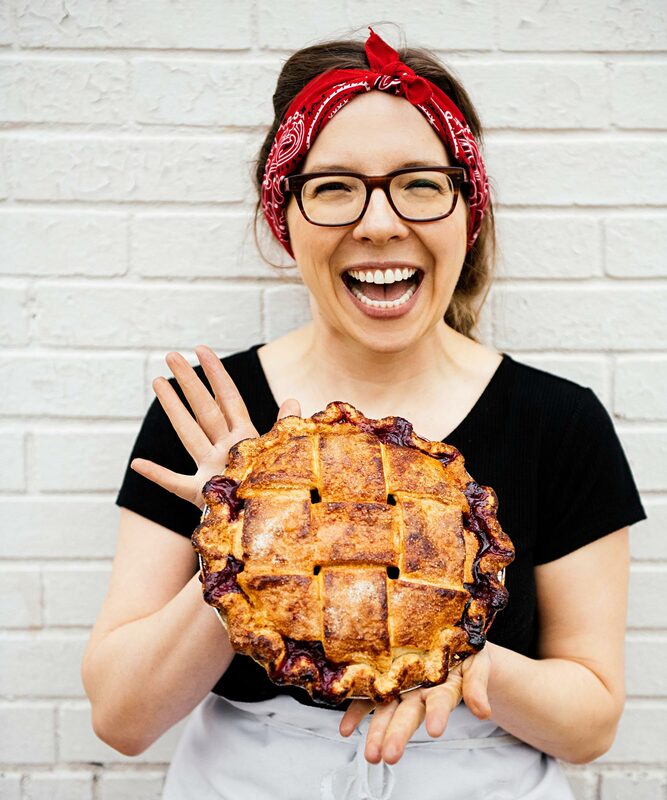 Lisa Ludwinski (below) opened Sister Pie in Detroit's West Village in 2015. 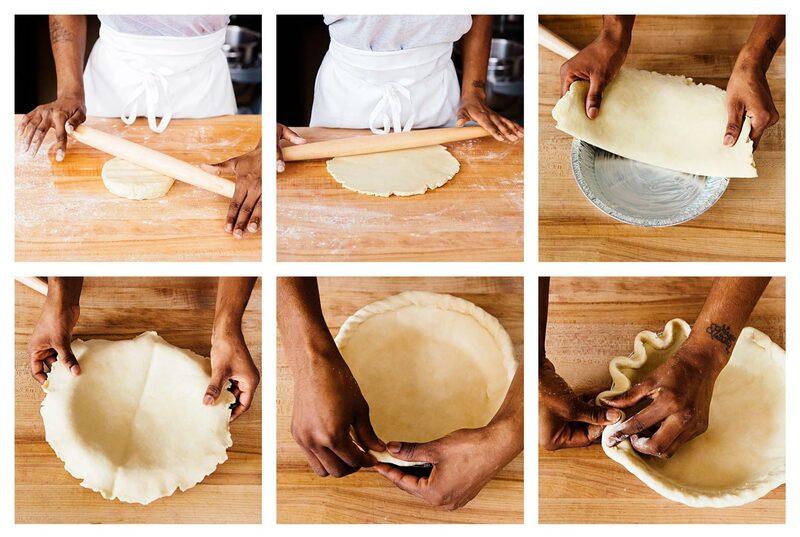 Every day, the crew at Sister Pie makes pastry by hand, one quadruple batch at a time. Fillings feature seasonal ingredients, often purchased from farmers at Eastern Market. Ready? A few inexpensive tools will make your pastry-making adventures easier. Metal Pans Lisa prefers shallow 9-inch aluminum pie tins because they’re light, durable and excellent heat conductors. 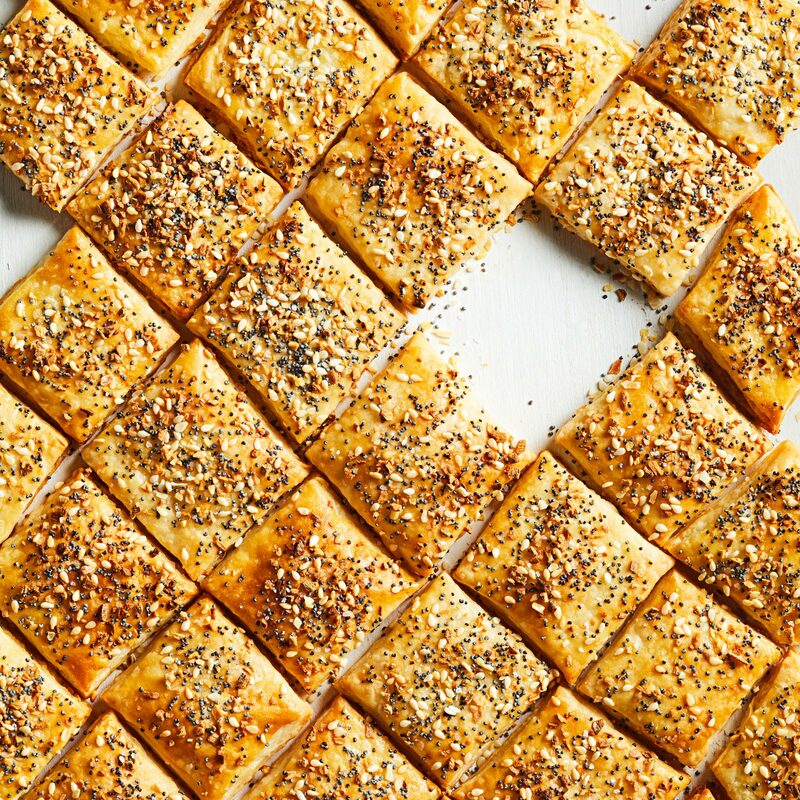 If you use a glass or ceramic dish that's more than 13⁄4 inches deep, consider multiplying the crust recipe by 1.5, so you have plenty of pastry to work with. Prep the ingredients Put a few ice cubes in a 1-cup liquid measuring cup. Add 2 tablespoons cider vinegar and cold water to fill. 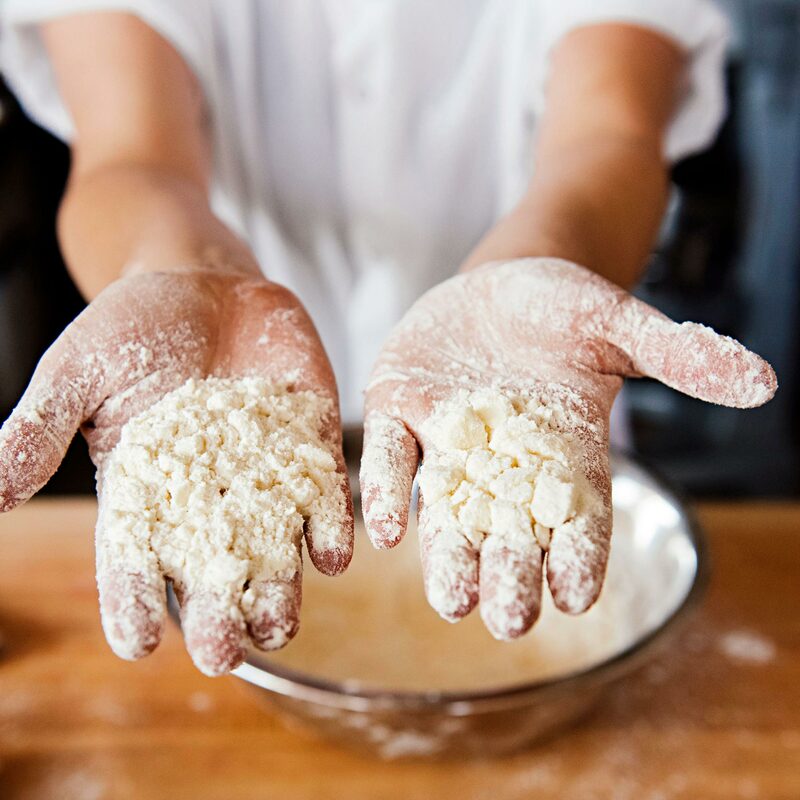 In a large bowl, whisk together 2 1⁄2 cups all-purpose flour, 1 teaspoon sugar and 1 teaspoon kosher salt. Chop 1 cup (2 sticks) of straight-from-the-fridge butter into roughly half-inch cubes. Cut in the butter Add butter to flour mixture and toss to coat. Using a pastry blender, cut the butter into the flour. Turn the bowl and toss the mixture occasionally so you don’t miss any butter. The blender will clog occasionally; clean it out with your fingers or a butter knife. Stop when the largest chunks are pea-size and the rest of the mixture looks like canned Parmesan cheese. Add the water Fish out the ice, then evenly drizzle 1⁄2 cup of the vinegar-water over the flour mixture. (You probably won’t need the remainder, but save it in case your pastry is very dry.) Toss with a fork until you can’t see pools of liquid. Switch to hands: Scoop up as much of the mixture as you can, then smoosh it back into the bowl. It’s OK to be a bit aggressive. Pressure will bring the mixture into a cohesive mass more effectively than water. Rotate the bowl a quarter-turn and repeat, as if kneading. When the dry bits at the bottom are gone, stop. Click or tap here for a printable version of Best-Ever All-Butter Pie Pastry. Lisa prefers to use premium butter, such as Plugrá or Kerrygold: “The high butterfat percentage and low water content ensure a powerfully flavorful and flaky crust.” We were skeptical of the splurge at first, but the difference is impressive. If you can afford the upgrade, go for it. Why is everything kept so cold? Two reasons: First, unlike in cake or cookies, the butter should not be so soft that it blends into the flour. (Butter bits = flaky piecrust.) Second, chilled pastry is easier to roll. if things get sticky as you work, just pause and chill everything in the fridge for 15 minutes. Why resist using extra water? Excess moisture leads to overdeveloped gluten and tough pastry. The mixture will seem dry and crumbly. Have faith: squeezing the crumbs and clumps nearly always brings the dough together. That said, if you overmeasured flour or the air in your house is dry, you may need to sprinkle in a tiny bit more water. Just be cautious. Why add vinegar? Not everyone does. 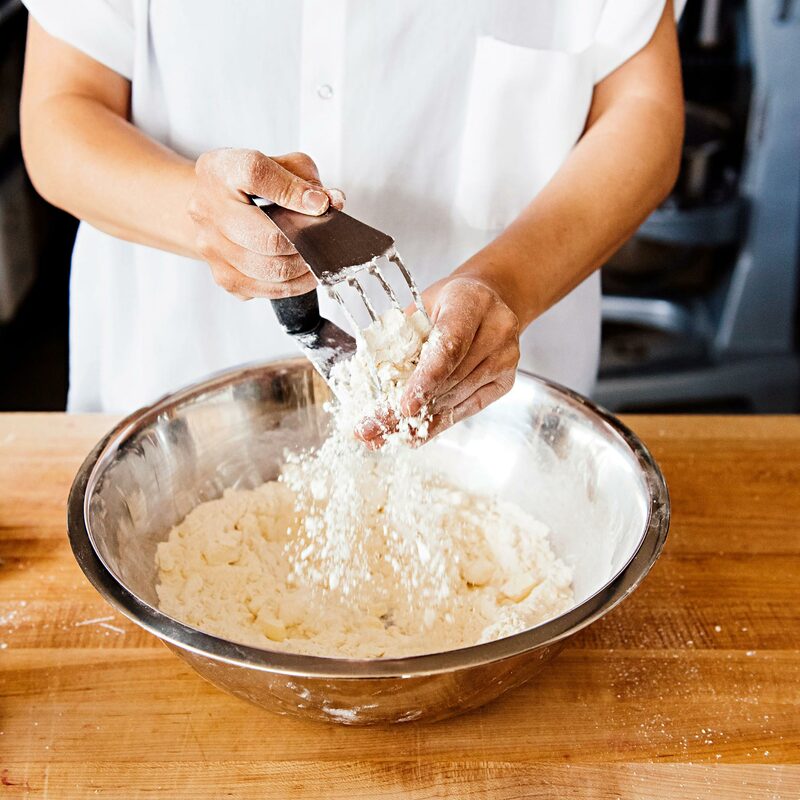 Lisa learned the trick from a mentor and although she’s not sure it does anything to the pastry’s texture, she likes the faint tang (and the sense of tradition). Roll it out Firmly roll the pastry from the center forward, using less pressure on the edge. Every few rolls, rotate the disc a quarter-turn. If the pastry starts to stick, lift it gently and sprinkle more flour underneath. If the top gets sticky, flip the disc over. Continue rolling and rotating until the circle is 12 to 13 inches across (aim for 14 if your dish is deep and you want a thick crimp).